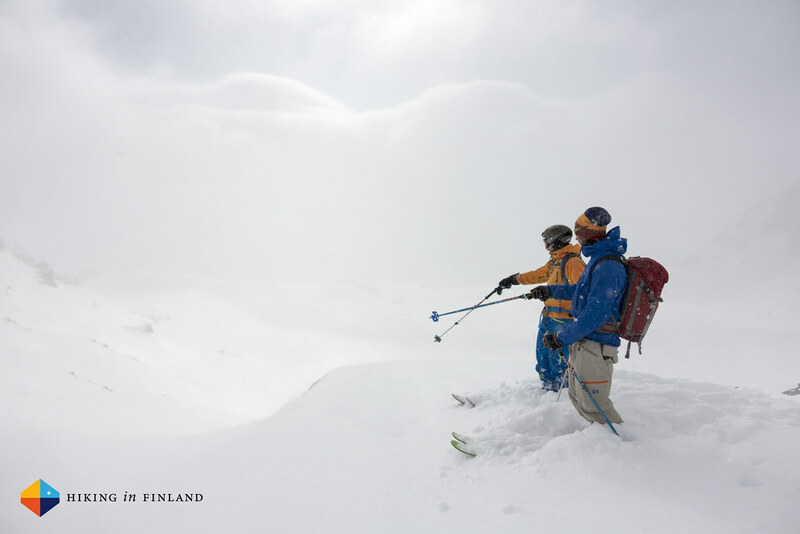 Ski-touring without certain items just isn’t smart. 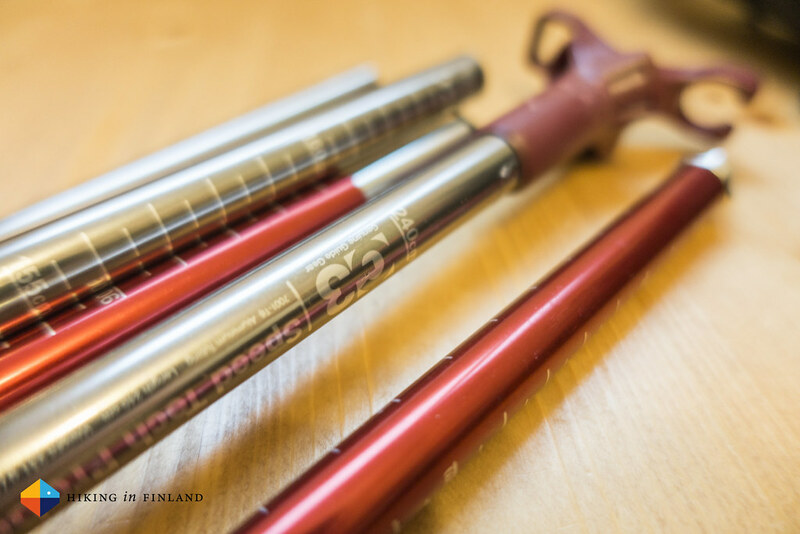 So you’re not going out into the mountains without the right kit, here’s a look at what you should have along when you skin up the next mountain to enjoy some sweet pow! No one likes to think about avalanches when he goes out into the backcountry, but it is a danger that is always present when we go off-piste, searching for deep powder fields and steep runs. As I set out ski-touring last winter my first thoughts went straight to safety - maybe because as a dad of two kids coming home healthy and in one piece is very important to me. 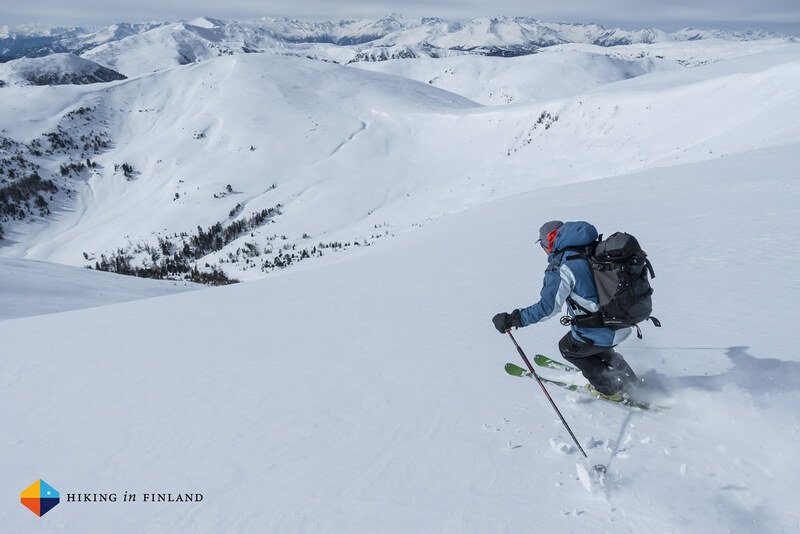 Even if you’re not a mom or dad I imagine you too want to come safely home from a ski-touring trip, and hence the topic of safety is something we need to talk about. But before I delve into the gear which you should wear and carry the most important part is to apply ones common sense, aka the grey squishy bit between your ears. We all probably feel like we have to little time out in the mountains, so when the avalanche danger is high while we have that short ski vacation we might be tempted to forgo the warnings and still go up the mountain. Well, just don’t - or go somewhere where it is safe. Avalanche safety really starts before you start out on the hills, so make sure check avalanche bulletin of your region and talk with local(s) (mountain guides & ski teachers, for example). That you should know how to use your gear - from beacon to probe & proper shovelling - goes without saying really, and if you’re new to the game do yourself a favour and visit a avalanche course or two before you head out into the hills. Then when the warning is low and the slopes are calling, it is safe to go and find that deep pow stash! So what’s the safety gear I wear & carry when I head out to the mountains? Around my body I wear the PIEPS DSP Pro Ice Avalanche Beacon. This beacon packs a lot of functions - the most important ones for me are the large 60 m search radius, because this would allow me in case of a burial to detect a mate already from further away; and the three antennas allow for a precise localization of the signal, minimizing the time you spent probing the snow. The Mark function lets me mark mates in case of multiple burials, and as it can be very bright & white in the mountains it is very useful that the display is easy to read in any light & shows the direction plus distance of the burial clearly. The DSP Pro Ice is also dead easy to use and the 400 hour battery life means I can go out a season long and don’t need to switch batteries. It performs a self-check at start-up and lets you know when it is OK, has 5 years of warranty and also come with the carry system you see in the photo. There’s a lot of tech in this beacon but the size and weight are still pretty good. 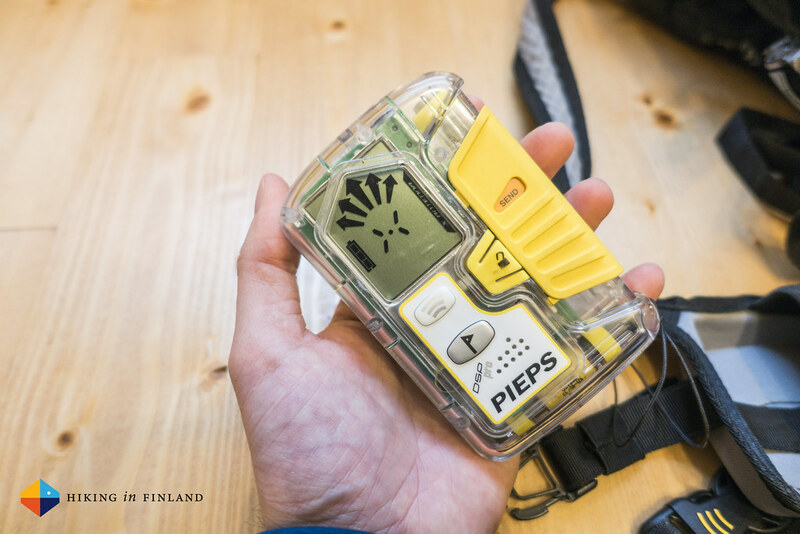 However, if I would be in the market again I’d be tempted to pick up the PIEPS Micro Beacon because not only is it cheaper than the DSP Pro Ice, it is also lighter and smaller! But at 198 g the PIEPS DSP Pro Ice isn’t really too heavy, and I rarely realize I am wearing it when I skin up or ski down a mountain. I switch it on when I start my ascent, and switch it off when back down. All in all I am very happy with this beacon and can recommend it if you’re looking for the best beacon with the most features on the market. I’m using a G3 SpadeTECH Shovel and a G3 240 Speed TECH Probe because I got them for free when I visited Arc’teryx in Vancouver last year. 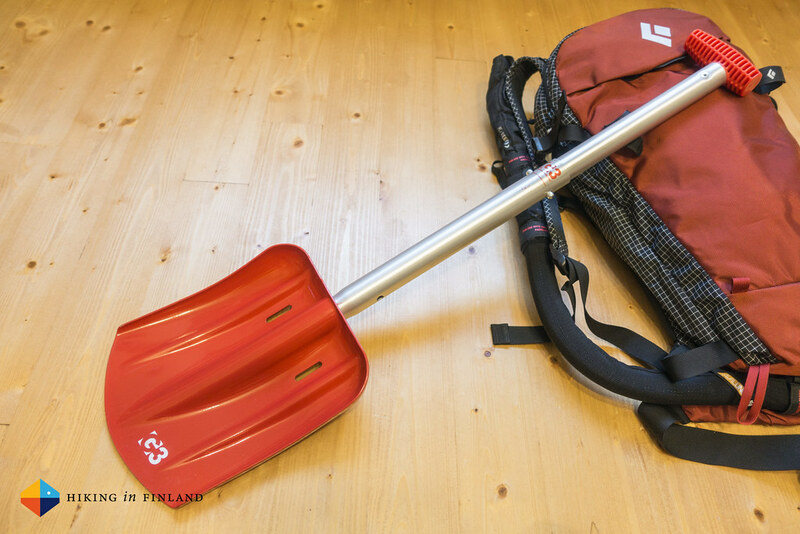 They are light and compact, deploy fast when needed and the shovel is easy to use, also with thick gloves on. The 240 cm probe is on the shorter side, but thus far (in practices) I have never needed a longer probe. 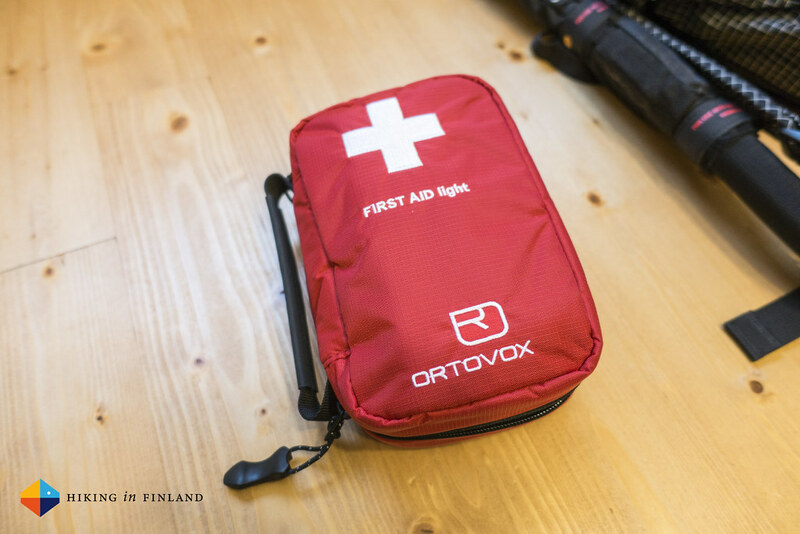 I’m always carrying a small FA Kit - sometimes the ORTOVOX First Aid Light but usually just a super-small MYOG kit (couple of Compeeds, an emergency bivy/ blanket and a few pain killers). These commercial kits are alright but I find the are over-specced and one doesn’t need that much gear when outside, and they’re also pretty big - when I’m out ski-touring I only have a 25l pack and space comes at a premium. If you have a bigger pack you might not have this problem & can carry a large FA kit, but if you’re experienced & know what you might need take a smaller & lighter kit, suitable to your needs. All of that I carry in my Black Diamond Dawn Patrol 25 which also has the extra Avalung Breathing System. The Dawn Patrol 25 pack has a front avy tool pocket which means I can access my shovel and probe super-fast when needed and I don’t need to first dig through my pack to find shovel & probe, which is very important in an emergency situation. I actually was able to fit crampons, extra clothes, a thermos and water as well as skins and snacks into this pack when I was doing the Graubünden Haute-Route! That’s it! 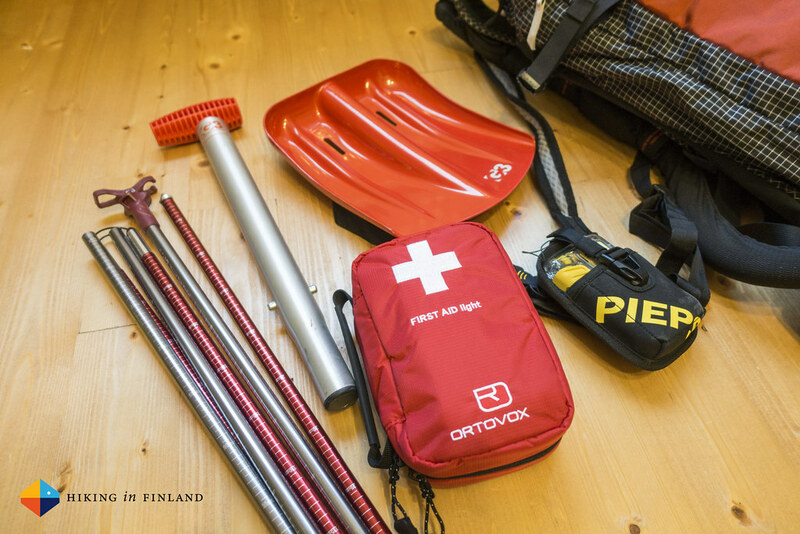 With this gear I can tour safely in the mountains, know I can help a friend if he would get buried and have a fair chance at also surviving an avalanche. But remember: The most important bit is to not go into avalanche terrain, know your limits and practice your skills so that you can come home again! Stay safe in the mountains and enjoy the summits & powder! Disclaimer: Some of these products were sent to me for free. This did not influence the article as I maintain full editorial control of the content published on this site. There are affiliate links in this article. Read the Transparency Disclaimer for more information on affiliate links & blogger transparency.